Studies show that using paper can make you more creative and productive. Express your ideas, thoughts and dreams any way you see fit with this journal series. 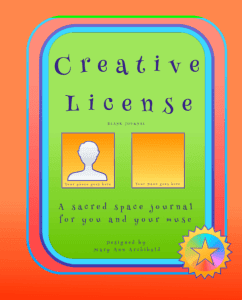 Creative License makes a wonderful journal to draw, color, write and much more! It’s a sacred space. It’s your Creative License. May the muse be with you! 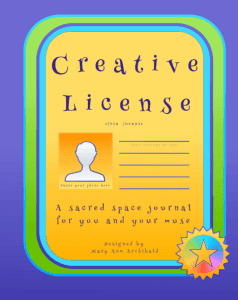 This blank journal is the first in the Creative License journal series for you and your muse. 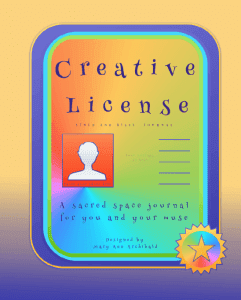 This lined journal is the second in Creative License journal series for you and your muse. This lined and blank page journal is the third Creative License series for you and your muse.